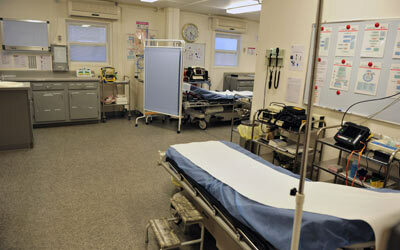 Two consultation rooms, emergency room for intensive care, an observation room, a Radiology room, and a pharmacy. The ISOS clinic based in Hassi Messaoud is a hub for medical assistance through all the sites. The On-site teams include specialists, general practitioners and emergency physicians, as well as nurses, available at all times of day and night 7 days a week. The ISOS clinic is a local medical structure offering general and personal primary urgent care. ISOS coordinates with remote health teams. 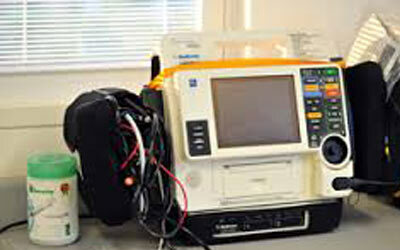 The clinic is provided with advanced equipment and facilities. Care, dentistry, X-rays etc. The ISOS clinic offers diagnosis and specialized medical care, emergency treatment and medical evacuations. As well, it is part of occupational medicine. ISOS provides first aid in emergency situations, and practitioners refer patients to large Algerian and foreign hospitals. ISOS Algeria provides medical evacuations. Medical teams can set up a medical plane in less than 90 minutes and proceed to emergency evacuations. ISOS clinical expertise is shared with the other clinics located in Hassi Messaoud and Adrar. International SOS medical teams are trained in advanced care and health emergency medicine by air (Medi-Vac) with personalised assistance for air transport. ISOS provides medical evacuations to foreign hospitals with air ambulances and accompanies patients in emergency situations until their admission. Being both a diagnostic and a consultation centre, ISOS Algeria provides biological tests in partnership with Laboratoire Fechkeur. 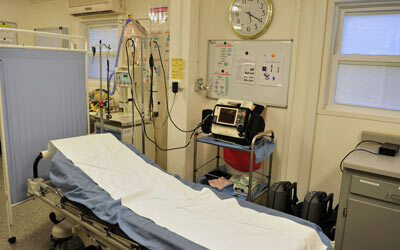 In addition, the clinic offers emergency requirements such as cardio and digital radiology tests. International SOS Algeria exceptional services are available at all times of day and night 7 days a week.